- Real hand carved Ram Skull with Real Horns - Unique intricate design & Premium quality - Skull is supplied with a hanging rope Color: White You can also order this Ram Skull in another color. 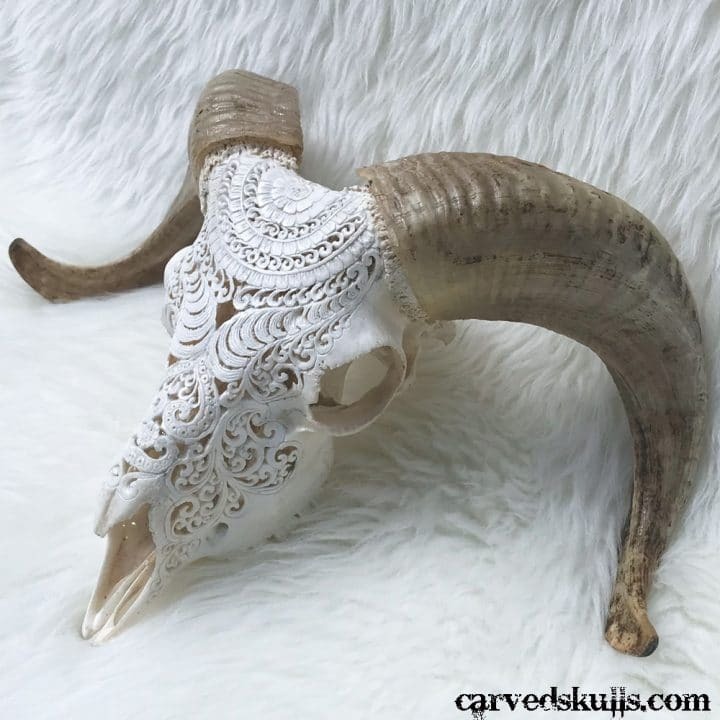 Contact us for a custom order. 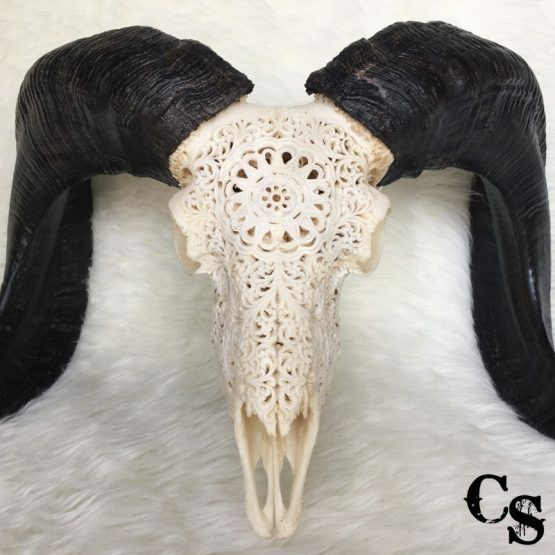 Dimensions (approximately): Length - 23.6" / 60 cm Width - 12.6" / 32 cm Please note: Due to the fact that each ram skull is hand carved and absolutely unique, size and design can vary slightly. 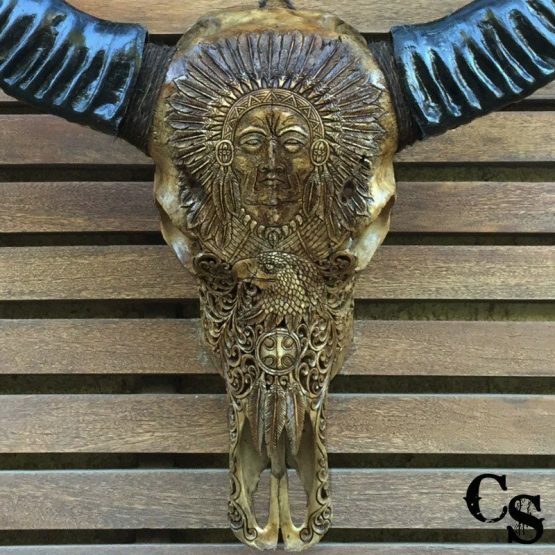 Product Details: - Real hand carved buffalo horn - Unique intricate design & Premium quality - One side carving - Wooden stand - 100% satisfaction guarantee! 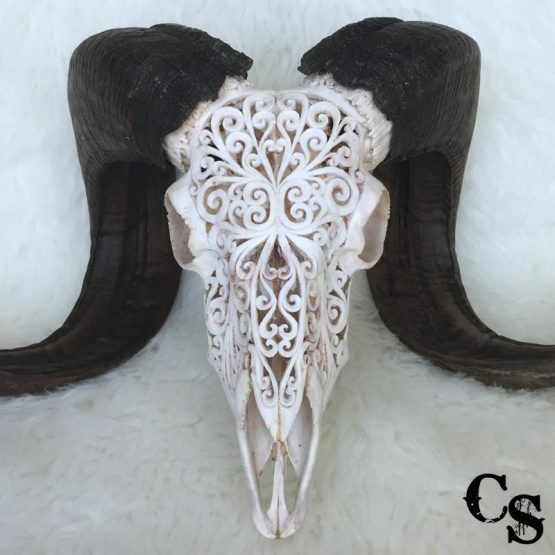 Color: Silver We also offer this Buffalo Horn in other colors. Contact us for a custom order. 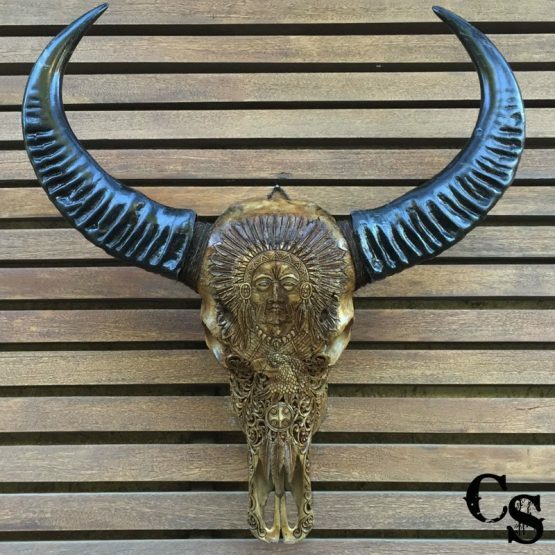 Dimensions (approximately): Max Height: 8" / 20 cm Max Width: 20" / 50 cm Please note: Due to the fact that each horn is natural and hand carved, size and design can vary slightly. Product Details: - Real hand carved Cow Skull with real horns - Unique intricate design & Premium quality - Skull is supplied with a hanging rope Color: Antique We also offer this Cow Skull in other colors. 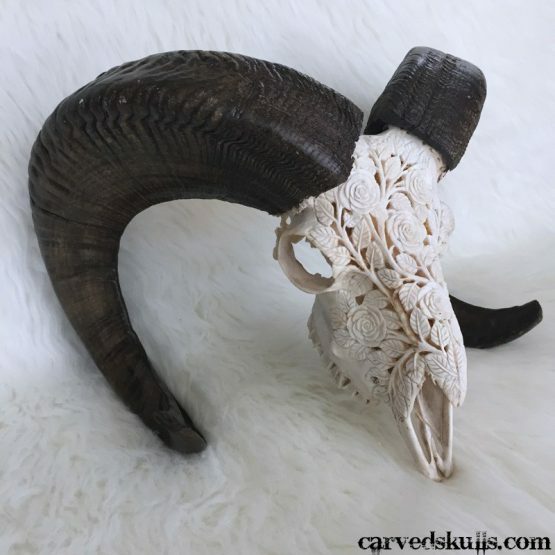 You can order it in a white, grey, black, silver and gold color. Contact us for a custom order. 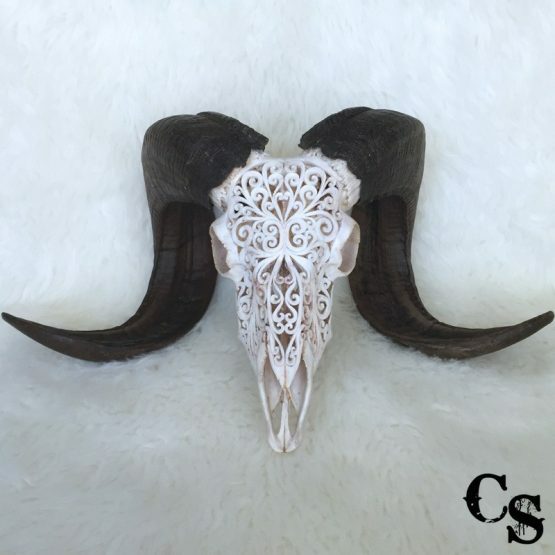 Dimensions (approximately): Height (without horns) - 18.9" / 48 cm Height (including horns) - 25.2" / 64 cm Width (from horn tip to tip) - 18.5" / 47 cm More Designs are Available Here. 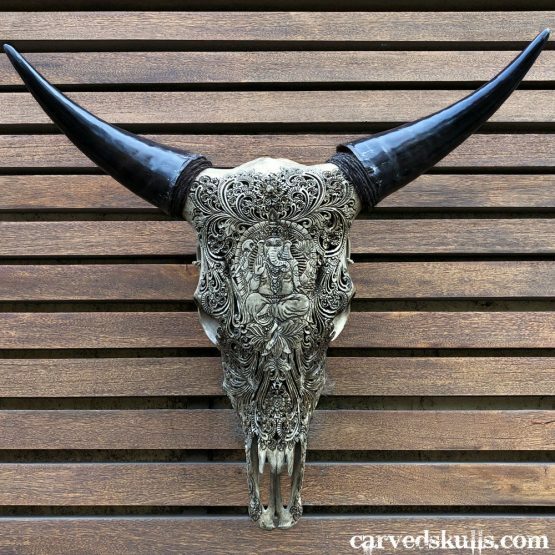 Please note: Due to the fact that each animal skull is natural and hand carved, size and design can vary slightly. Product Details: - Real hand carved Buffalo Skull with real horns - Unique intricate design & Premium quality - Skull is supplied with a hanging rope Color: Brown We also offer this Buffalo Skull in other colors. You can order it in a white, black, grey, silver and gold color. Contact us for a custom order. 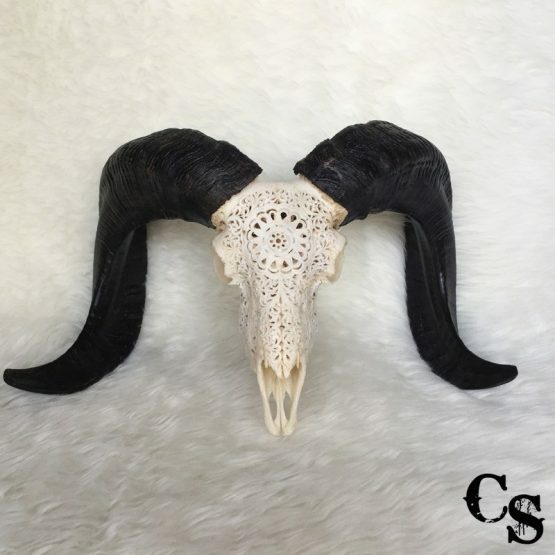 Dimensions (approximately): Height (without horns) - 19.3" / 49 cm Height (including horns) - 26.4" / 67 cm Width (from horn tip to tip) - 28.3" / 72 cm More Designs are Available HERE. 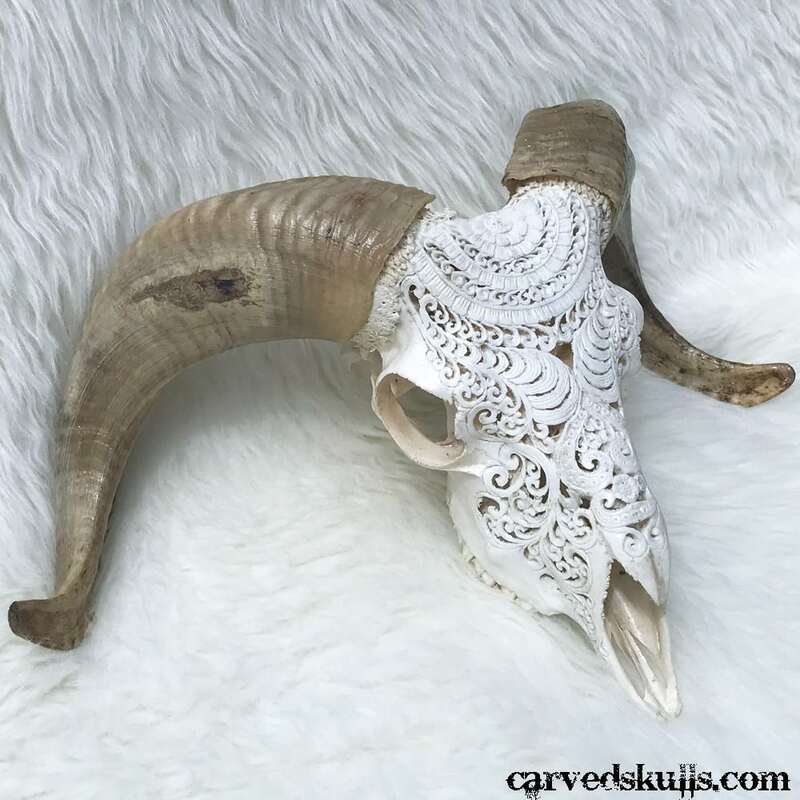 Please note: Due to the fact that each animal skull is natural and hand carved, size and design can vary slightly. 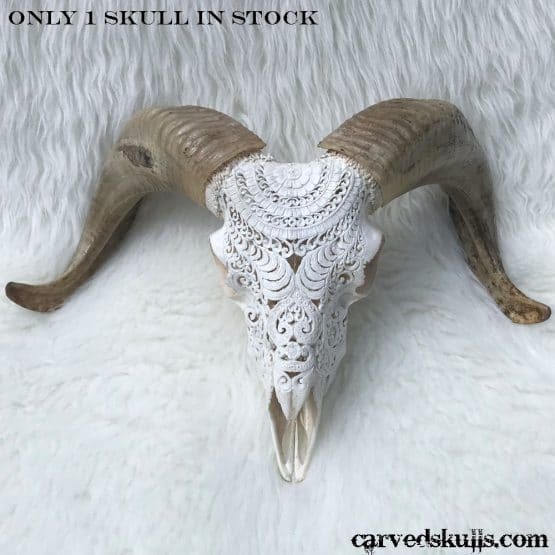 Product Details: - Real hand carved Buffalo Skull with real horns - Unique intricate design & Premium quality - Skull is supplied with a hanging rope Color: Gold We also offer this Buffalo Skull in other colors. 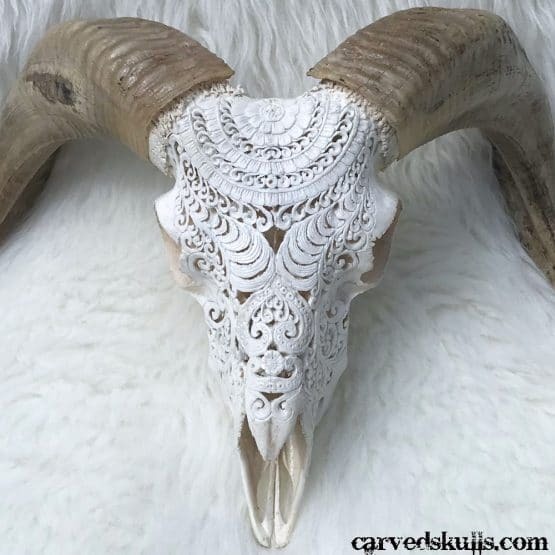 Contact us for a custom order. 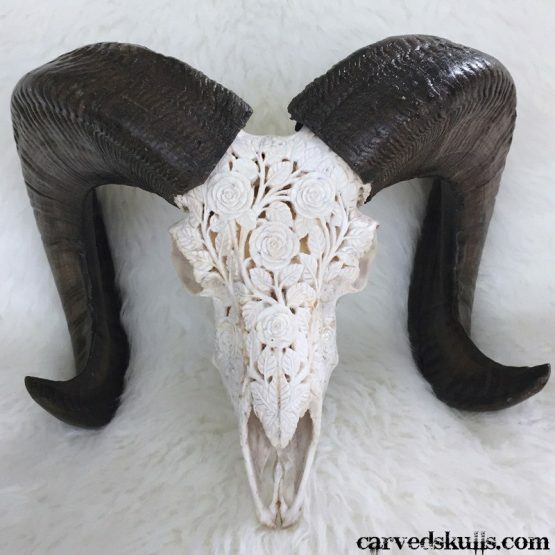 Dimensions (approximately): Height (without horns) - 21.6" / 55 cm Height (including horns) - 35" / 89 cm Width (from horn tip to tip) - 30.7" / 78 cm Please note: Due to the fact that each animal skull is natural and hand carved, size and design can vary slightly.